As I start my time out here in LA, I am so incredibly grateful just to be here. The sun is warm and my body feels new energy with each breath. As much as I love being home and everything about Massachusetts, change is both important and necessary. I had an honest conversation with my mom before I left and we talked about stepping outside my comfort zone. There haven’t been many moments in my life where I have branched out because most times I live cautiously with a guarded heart. Yesterday, I made the conscious choice this was something I needed. I am trying to embrace this feeling of freedom and I hope to act on it again and again as I move forward in life. I’m excited to share more stories and pictures from my time here! Also figuring out what time and when to post the blog while I’m here so thank you for your patience. What’s something you always wish you had more time for? We only have 24 hours in a day and far too often, it doesn’t feel like it’s enough. With another 3 hours in a day, who knows!? We might be able to pursue interests and hobby’s, become professionals doing what we love. Unfortunately, that 24 hours thing seems pretty set in stone. That leaves us with only one option, you have to make time. Tomorrow is a mystery and continually saying we’ll make time for that trip abroad “one day” just won’t cut it. Set a goal, identify the steps, and like I said yesterday, don’t give up. Whether this means you have to wake up earlier, manage your time better, or let something go, your bucket list isn’t going to accomplish itself. So I’ll ask again, what’s something you want to make time for in the new year? Why not start tomorrow? Tomorrow I’m traveling to Los Angeles to stay with my Uncle! I’m excited to share pictures and stories while I’m there. People have a tendency to give in when things get hard. You question yourself, your direction, and your purpose when the answer has always been right in front of you. Faith. Faith is unique to every individual you come across. Whether you believe in God, The Universe, or a giant spaghetti monster in the sky, do not lose hope and do not falter. You hold these beliefs for a reason. You’ve made it this far, for a reason. It’s hard to trust the unknown. It’s hard to put faith in tomorrow when today may have seemingly failed you. That’s up to you to decide. Gratitude allows us to find the value in each day. 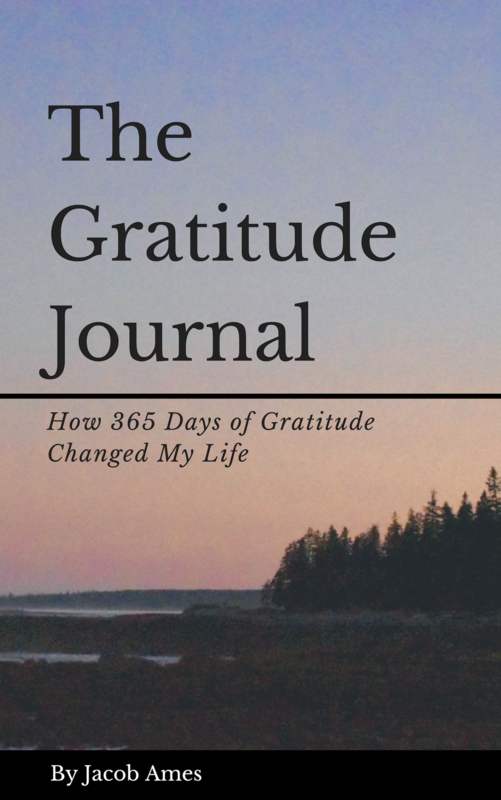 Gratitude can be the fuel you need to keep going when you’re going through hell. It’s easy to make excuses. It’s easy to say this is too hard and too much work. You stand in the face of opposition and it feels like your entire world is closing in on you. The self-doubt you hear in your head spreads like a virus to the point of indecision. Paralyzed with fear, it’s easier just to give up and call it quits. You can make yourself feel better by resorting back to old habits and feeling comfortable again. Let me say it loud enough for the people in the back. My process and being exactly where I’m supposed to be.